Update: SB611 appears to have two additional amendments. The first amendment filed by Boudrear calls for no state taxes to be allotted to the proposed economic development district, nor will the state be responsible for any financial support. The second amendment filed by Delaneys changes the appointment process for the proposed economic development district; rather than the Mayor solely making appointments, other individuals will make some of the appointments including the DDD director, and Legislative representatives from the House and Senate will each make one appointment. 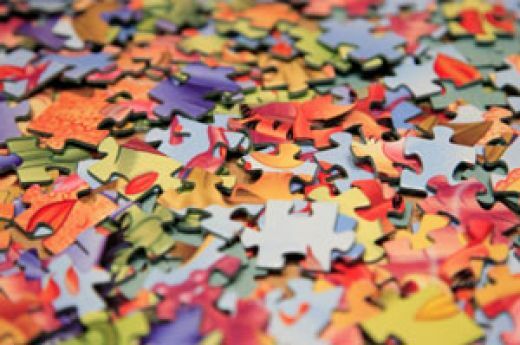 There is nothing worse than trying to put a puzzle together with missing pieces. More piece to the puzzle of the proposed Downtown Red Stick Economic Development District are being revealed. Developer Pete Clements is planning a mixed-use development in downtown Baton Rouge along the batture. Mayor Kip Holden endorses Clements project. Senator Yvonne Dorsey introduced legislation to create an economic development district for the project allowing TIF funds to finance the project. There are no voters in the proposed district, therefore no vote required to implement bond issues. A Louisiana Senate committee recommended the bill with one caveat — the TIF could only be allowed with the approval of the EBR Metro Council. The fact that there are no voters living in the proposed district seemed ‘off’, until The Advocate revealed that gaming revenues from Hollywood Casino would be used in the TIF arrangement. TIF’s allow for bond issues to fund private projects when taxes collected are higher than the amount previously collected. Pieces of the puzzle were missing last year when Hollywood Casino and developer Pete Clements announced a joint venture to build a $12.5 million underpass. *No mention was made that Clements was a convicted felon, and Louisiana Gaming Laws require that casino’s not have business dealings with felons. *Mayor Kip Holden said that tax revenues from the casino would net $10.3 million in proceeds over a 10 year period. The facts indicate that figure may be higher. *An agreement was made between Mayor Holden and the two Red Stick Casinos, the Belle and Hollywood, to increase boarding fees. Instead of $2.50 per patron, Hollywood agreed to pay 3.5% on the first $100 million, 4.5% on revenue above that amount, and 2% on revenue below that amount. The Advocate indicates Holden said, *the increase in boarding percentages would provide an additional $2.7 million in annual revenue. *Abstaining from the vote was former Councilman Pat Culbertson and Councilman Bones Addision. Former Councilmans Wayne Carter and Byron Sharper voted against the increase based on no designation of how funds would be used. Other 2009 Metro Council voted yea, and the increase in boarding fees passed. Was the timing of the refusal to designate additional casino boarding fees by design? Does it matter that River Park Development, owned by Pete Clements, made the *3rd largest contribution ($15,000) to Holden’s failed tax plan? Is it important that the developer, Pete Clements, *declared bankruptcy in 1987 for his business of real estate holdings? How about past projects such as the *Riverfront Dock and the Old Courthouse Renovation, handled by Clements, were all significantly over budget? Is it important that Clements was the developer of former Clerk of Court Mike Cannon’s satellite office on Coursey that *received criticism by former BRAC leader Bill Little for awarding work without a formal bid process? Does it matter that the *failed Place Vendome fiasco resulted in one of Clement’s convictions for averting funds from the Feds? Has the Louisiana State Police taken a position on a convicted felon entering into a business agreement to mix funds for the development of an underpass to Hollywood Casino? Will the half-acre of wetlands on the edge of the property affect this development? Does the option to receive land by expropriation or (Note: An amendment is currently in legislation to remove the word expropriation) gift in SB611 matter? Is it possible there is a plan to bring back the Alive project under this mixed-use development project under the guise of expropriation or a gift to avert voters? At this week’s Senate Legislative Committee, Senator Dan Claitor almost redeemed himself by questioning the project. Instead he claimed he felt the river was never given its due. It didn’t matter that Consultant Mark Drennan claimed to have ‘overlooked’ the fact that casino revenue would play a factor. What the? This project is not about giving the Mississippi River its due, it’s about a plan to divert city-parish and state proceeds from gaming to underwrite a developer’s private project through a TIF fund. This is about already *declining city-parish tax revenues for East Baton Rouge Parish taking another plunge, all for the sake of a private developer’s project and a Mayor who is dead set to further develop the Riverfront with total disregard for the voters who have already spoken. I fear there are even more pieces to the puzzle yet to be revealed.